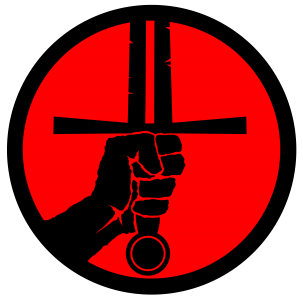 Welcome to The Wrathful Peasant blog, I will be sharing my experiences as a HEMA practitioner, an instructor and as a competitive fencer in the Irish Historical Fencing League (IHFL). Click on the Blog page on the menu to see all my postings. I hope you enjoy reading my articles as much as I enjoy writing them! For those of you who don’t know, HEMA mean Historical European Martial Arts; sometimes referred to as Western Martial Arts (WMA). As an inclusive community, we are attempting to reconstruct and practice martial arts from historical documents. These Arts commonly (more so than familiar Eastern Arts) involve weapons; swords are especially common. Whilst it will incur the eyes of wrath from many others, I think you can call me a ‘sword fighter’ or a fencer and I wouldn’t be offended. On a weekly basis, I train in the use of Longsword, Sabre and Arming Sword and Buckler although I have dabbled in others. I am not a great translator of old European languages so for the most part, I work on already translated works, secondary sources and documents that are in languages I find more accessible (i.e. modern or near modern English). Most recently I have been teaching Longsword, roughly following the Liechtenauer tradition as many have before me. I use the ‘Doebringer‘ codex HS3227a, Meyer’s 1570 Art of Combat and the highly informative and wonderfully written Longsword Study Guide by Kieth Farrell and Alex Bourdas (which you can get here). We have also spent more time working from Meyer’s Art of Combat (1570), using the excellent and popular Foreng translation. For me, the definition of ‘Historical’ part of HEMA is that we work on interpreting descriptions of techniques from documents. I’m not able to read and translate old languages so I will always be working from someone else’s work; that said I will try to make what I see on the page work. If I can’t then it’s back to the books, not saying the technique ‘doesn’t work’. In matters of fencing, I submit to the authority of the masters. It is hard to say if what I do and/or teach is ‘historically accurate’. It is entirely possible that nobody in their right mind would fight in a life-and-death situation in the way I do. However, I can confidently say that when I fight I do so basing my actions (remotely and filtered through my own physical and mental barriers) on my study of historical techniques as described in translations of period documents.